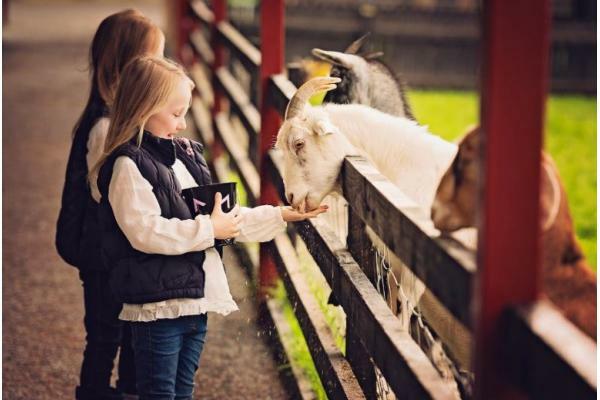 A visit to Glendeer Pet Farm is an interactive experience where people can feed, pet and hold some of the animals. Glendeer Pet Farm's annual Egg Hunts provide great eggcitement & entertainment for kids of all ages. There is a separate egg hunt for children under four to make sure everyone gets a chance to collect some chocolate treats. A visit to Glendeer is a fun, interactive experience for all the family. People can feed, pet & even hold some of the animals, which include pups, chicks, deer, pigs, llamas, alpaca, emu, goats, donkeys, sheep, jersey cow, two cheeky monkeys, Honey the raccoon & much more. Not to mention the new babies that are arriving every day, including kid goats, rabbits & lambs! After the children feed the animals they can play on the slide, swings, seesaws and very popular zipline, while adults enjoy fresh coffee/tea and home-made treats. Be amazed at how friendly all of the animals are as the wander up around you looking for food. Each child will get a bag of food to feed the animals as you make your way around the six acre farm. Why not bring a picnic along to enjoy, but beware of the greedy hens who can spot a picnic bag a mile away & will try to join you! While visiting the farm you can also stretch your legs along the unspoiled nature walk where you will have to keep your eyes open as you might just see some fairies along the way. A visit to Glendeer Pet Farm won't disappoint, there have been a lot of changes over the last few years including new amenities for kids of all ages from the maze and obstacle course for the older kids to the ball pool and soft play toddler area for the small ones, you will find it hard to get away. With these improvements the farm is now even more suitable for any weather conditions. Admission for 2019: €9 per adult & €9 per child (under 18 months old are free), family rates available for families of 5 or more. Season tickets are also available for €40 per adult and €40 per child, it cover unlimited access from March to Sept and adults are free for Halloween. Glendeer Pet Farm, Drum, Athlone (take exit 13 off M6 and follow signs for Drum) is suitable in any weather with lots of facilities under cover. But it's not all about scares, during this Halloween experience you will also get to interact with the friendly animals on the farm. 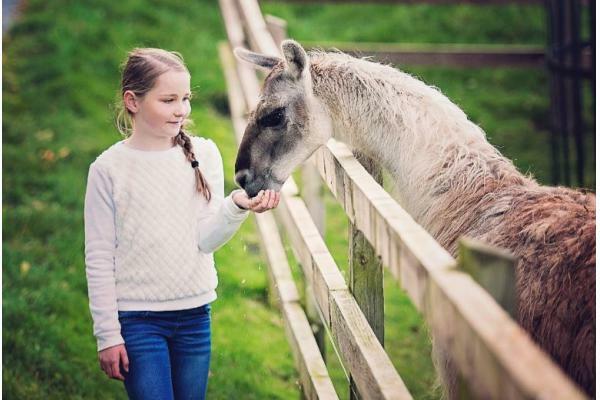 Children can feed, pet & even hold some of the animals which include puppies, rabbits, deer, pot belly pigs, llamas, alpache, emu, wallabies, goats, donkeys, sheep, the cheeky monkeys, meerkats and much more! Not only will you see all the Halloween scenes but children can race on the DOUBLE OBSTACLE COURSE and lose themselves in our TIMBER MAZE along with the slides, swings, seesaws and very popular glider swing in the large outdoor playground or they can avail of the indoor adventure area with lots of slides and bridges, so Glendeer is perfect even on those wet days. And while the big ones are burning off some energy, the little ones will be well entertained in the SOFT PLAY BARN and the ALL WEATHER sand pit...just beware of the ghosts and ghouls in the Forbidden Forest on your way there! Adults can enjoy freshly ground coffee/tea and home-made treats available in the coffee shop. Groups and birthday parties catered for by appointment. Special rate for 20 or more. Open: 27th of October until the 4th of November for Halloween. 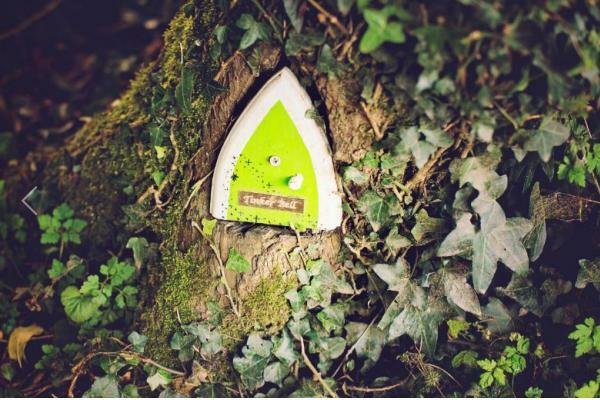 While visiting the farm you can also stretch your legs along the unspoiled nature walk/fairy trail where children love to find all the fairy doors, toadstools and they may even see a fairy if they are lucky. The children will also get a bag of food each to feed the animals & after they can play on the slide, swings, seesaws, obstacle course, maze and very popular glider swing, while adults enjoy fresh coffee/tea and home-made treats. Be amazed at how friendly all of the animals are as the wander up to you looking for food. Each child will get a bag of food to feed the animals as you make your way around the 12 acre farm. Why not bring a picnic along to enjoy, but beware of the greedy hens who can spot a picnic bag a mile away & will try to join you! A visit to Glendeer Pet Farm won't disappoint, there have been a lot of changes over the last few years including new indoor soft play area for toddlers and a indoor slide shed for the older ones so no matter what the weather there is still lots to see and do! Admission: €8 per adult & €8 per child (under 18 months old are free), family rates available for families of 5 or more. Season tickets are also available, €40 per adult and €40 per child. You can visit as often as you like from the 17th of March until the 30th of September and adults are also free for Halloween and Christmas. Glendeer Pet Farm is located just outside Athlone off the M6 (Tuam/Monksland Exit 13, follow Drum signs) and has all facilities undercover. For more info. Or detailed directions to Ireland’s Lapland @ Glendeer Pet Farm, Curryroe, Drum, Athlone, N37HY39 visit www.glendeerpetfarm.ie, find us on Facebook.com/GlendeerPetFarm and Google maps or contact us on 090 6437147. While visiting the farm you can also stretch your legs along the unspoiled nature walk where old horse drawn farm machinery can be viewed. The children will get a bag of food each to feed the animals & after they can play on the slide, swings, seesaws and very popular glider swing, while adults enjoy fresh coffee/tea and home-made treats. Be amazed at how friendly all of the animals are as the wander up around you looking for food. Each child will get a bag of food to feed the animals as you make your way around the six acre farm. Why not bring a picnic along to enjoy, but beware of the greedy donkey who can spot a picnic bag a mile away & will try to join you, if they don't the hens will! A visit to Glendeer Pet Farm won't disappoint, there have been a lot of changes over the last year due to funding from the Leader Partnership Committee, so not only has the farm had a facelift but some NEW amenities have been added to entertain kids of all ages from the maze and obstacle course for the older kids to the NEW ball pool and toddler area for the small ones, you will find it hard to get away. With these new improvements the farm is now even more suitable for any weather conditions.